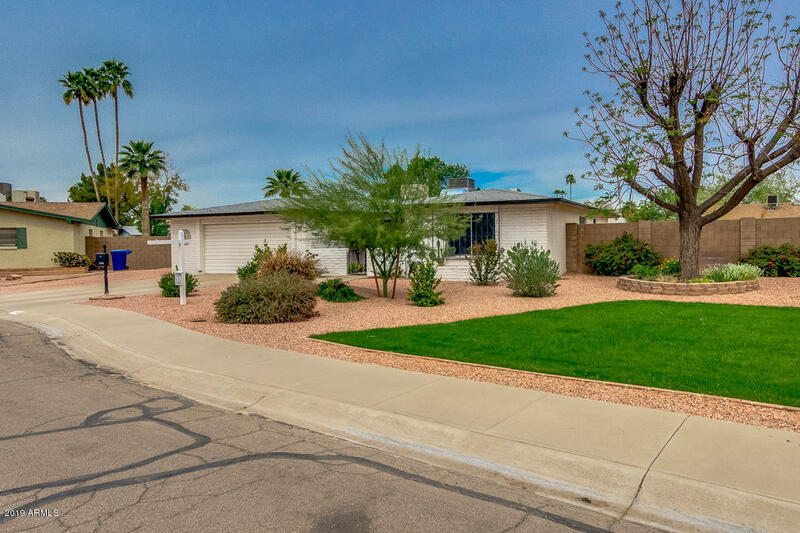 Excellent Property in Tempe. Beautiful curb appeal. Almost a 12,000 sq. ft cud-de-sac lot. Diving Pool, Private master bedroom split with en-suite bath and patio exit. Formal living and dining rooms, family room and open kitchen. Large 2 car garage, NO Popcorn Ceilings! No HOA! Short Distance to Optimist Park.